Released in January 1965, John Coltrane’s “A Love Supreme” became one of the most acclaimed jazz albums of all times. Come enjoy an expert performance of this amazing music on Thursday, November 15, at 7:30pm at Okhurst Presbyterian Church (118 2nd Ave, Decatur). Nursery is available for little kids. The concert is free, but donations will be accepted for Heifer International and for Decatur Emergency Assistance Ministry. The musicians are Clarence Johnson III (sax), Matt Wauchope (piano), Scott Glaser (bass) and Justin Chesarik (drums). If you love jazz, or want to introduce someone to Coltrane, don’t miss this. 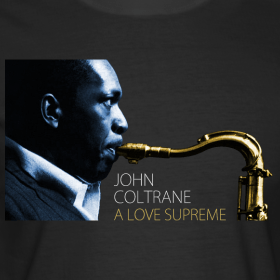 You can learn more about “A Love Supreme” from this NPR piece: http://www.npr.org/2000/10/23/148148986/a-love-supreme.